His real name: Sir Percy Blakeney. His calling: rescuing French aristocrats from the guillotine during the Reign of Terror. 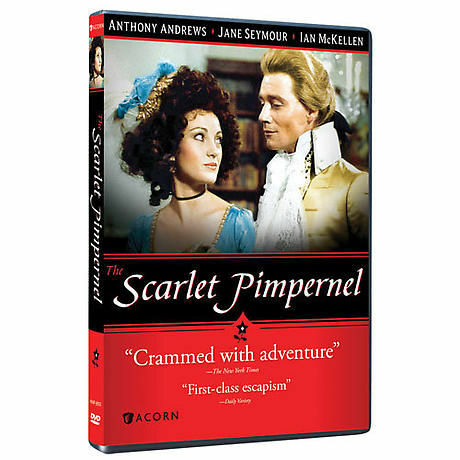 Anthony Andrews (Brideshead Revisited) is the Scarlet Pimpernel, master of disguises and formidable swordsman, in this swashbuckling Emmy® nominee based on Baroness Orczy's classic novel. With Jane Seymour as his love, Marguerite, and Ian McKellen as his dangerous rival, Citizen Chauvelin. Seen on CBS. 2 hrs, 1 DVD, SDH.